The name for this downtown Orlando is an acronym for Hip Urban Environment, and it still lives up to its name after almost ten years. I have had brunch, dinner or just gone to the bar numerous times, because it is only a five minute walk from my house. 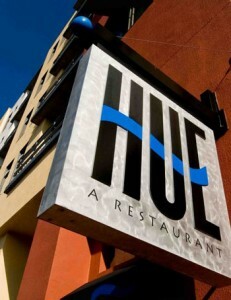 HUE is one of Orlando’s hot spots and one of downtown Orlando’s most sophisticated restaurants. 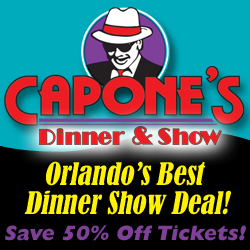 Unfortunately their food quality ranges from excellent to mediocre. On most of my visits the food has been good to very good. I think if you go to a restaurant on a regular basis you will sometimes hit a rough patch no matter how good the restaurant might be. However, the more costly the restaurant is the less room for error they have. I have been disappointed with a few of my visits, and lately I am more likely to go to the bar and have a drink and an appetizer. All that being said I have experienced more exquisite experiences at HUE then mediocre. I will say I do not typically complain about a bad meal, so I have never given them the opportunity to try and make me happy. Yet as an owner of a restaurant, I want to hear any complaints that my guests might have so we can fix the problem. I know I should follow my own advice, but the older I get the less I like confrontation. From this point forward I am going to focus on my good visits, because I would still recommend HUE particularly for special events, visitors and a great place to hang out. Located on one of downtown’s intersections – Central and Summerlin – it sports a huge half circle patio which is a big draw if the weather cooperates. The interior is industrial meets cool. Its high ceilings with exposed piping, air conditioning and ventilation are all painted a flat black. The ceiling is really the only industrial look to the restaurant but it does not seem out of place. A large cocktail lounge separates two dining areas and occupies the prime space on the corner. Honestly I prefer dining either on the patio or in the cocktail lounge as the two dining rooms each are small and do not enjoy the large windows in the cocktail lounge. 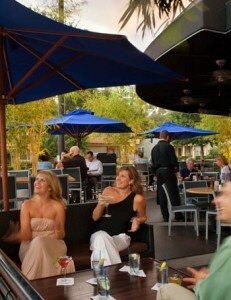 HUE is one of Orlando’s premier spots to see and be seen and enjoys a large bar business. Happy hour and pre- night clubbing is when to go for the lounge as it is located in the heart of a condominium complex the dining room and bar are closed early. The menu is definitely not your average meat and potatoes it is more American Nouveau cuisine. An average selection of seafood, meats and sushi is the mainstay of the menu. The cocktails are large along with prices to match. If you go be prepared to spend upwards of a $100.00 per couple unless you just order entrees and water then you can get out for less. When to Go: Sunday brunch, 11:30am-4pm, features a special brunch menu and discounted bloody marys and mimosas. Every third Sunday, a disco brunch (a live DJ spins retro hits) features $2 mimosas and a bloody mary buffet, where you can load up on fixin’s like olives, onions, spicy beans, celery, shrimp and Hue’s own spicy mary mix. What to Drink: Try a fabulous mojito, green apple martini or a chilled espresso martini.